The living accommodation is on the first and second floors. The ground floor (or La Cave) is where the wine was made and where 3 original 2.5mtr diameter oak barrels still remain. 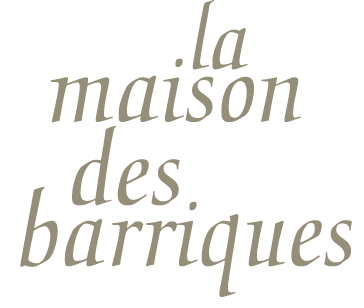 Entrance to La Maison des Barriques is via a winding stone staircase on to the terrace. Double doors from the terrace lead into a large bright and airy open plan living/dining area with an atrium open up to the second floor. Timber screens divide off the kitchen and study areas. Two original fireplaces are main features of this area. A steel and oak staircase takes you up to the second floor with large roof lights, white washed timber floors and a steel balustrade around the atrium. The bedrooms are both light and spacious with sloping ceilings The master bedroom, with king size double bed, has an ensuite shower wc ,wash basin and changing room. Bedroom 2 has a double bed and 1 single bed. Tiny floor lights light your way to the bathroom at night. 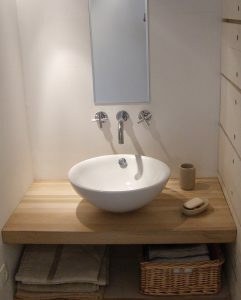 The bathroom has a bath with a shower over. There are large ceiling fans in both bedrooms for those hot sultry nights. The terrace, opening directly off the living area, is wonderful for eating al fresco. With sun shade for those hot days the terrace looks over the village to the vineyards and hills around. This is our holiday home and we spend three or four months of the year here so you should find everything that you need, for a comfortable holiday. Underfloor heating to main living area. 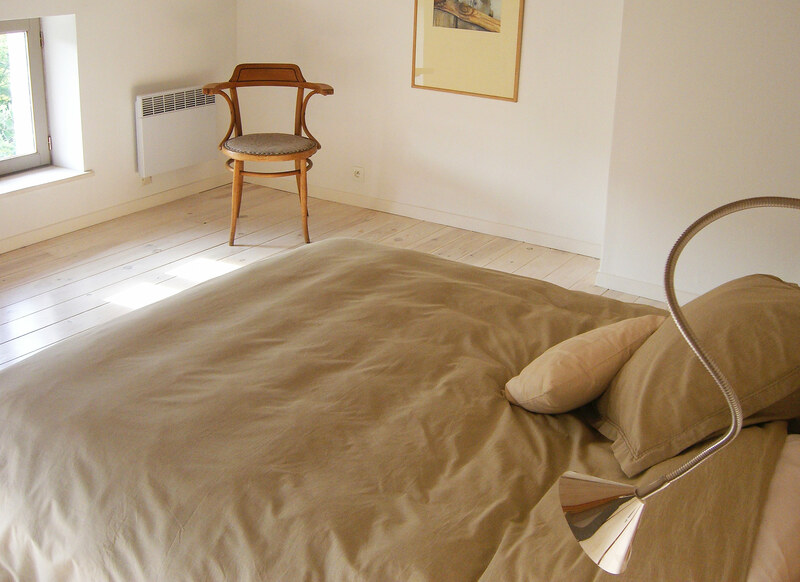 Wall mounted electric convector heaters to bedrooms. CD player with radio. Bedrooms (2), Bathrooms (1), Separate wc (1), Shower Rooms (1). 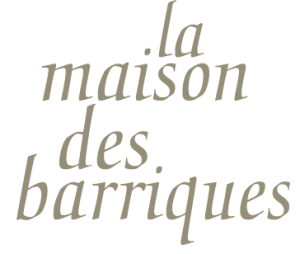 In the square , La Maison des Barriques is just off the square.